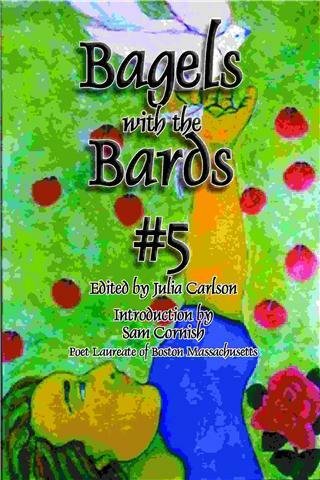 Bagel Bard Anthology 5 is alive! The new Bagel Bard 5 anthology is alive! It has an introduction from Boston Poet Laureate Sam Cornish, as well as notes from the founders Harris Gardner and Doug Holder. Julia Carlson edited this edition, and Steve Glines designed and published it through the ISCS Press. Bards have a poem for you."